The wind is howling outside, and you're curled up under four blankets. "It’s freezing in here!" you mutter as you push the up button on the thermostat yet again. At times like this, you know your HVAC system isn’t working right, but you have no idea why. Here’s a little insight into what might be going on, and when it’s time to call an HVAC technician in for a little help. If it seems like you're turning the heat up, up, up or the air conditioning down, down, down, but nothing seems to be happening, a clogged filter could be your culprit. Lack of proper air flow caused by clogged filters is the number one cause of inefficient HVAC systems. To keep clogged filters from becoming an issue, check your filter once a month and plan on replacing it once every 90 days. If you have pets in your home, you may need to replace the filter a little more often. Just like everything else, the parts of your heating system can wear out. Things like belts and motors can become worn and cause your system to work poorly. This problem can be hard to diagnose without a qualified HVAC tech to come in and check things out. If your system seems like it's just not working the way it used to, it’s probably time to call in the pros. The upfront cost might seem a little high, but if your system continues to work highly efficiently to heat and cool your home, you'll save money in the long run. Leaks in your HVAC system can be easy to diagnose but a little harder to fix. Still, it's great information to give your tech before he gets started. To diagnose a leak in the system, start with the obvious. Look for liquid coming from anywhere other than the condenser pipe (that’s the part where the water normally leaks from). Check your filter for ice. Leaking refrigerant will cause your filter to freeze the moisture it catches, turning the filter into a popsicle. If a pipe is leaking at a junction, a seal could be dry rotted or corroded. Be sure to pass the information to your HVAC technician before he comes out so he can be better prepared to help you. Even if you have a gas or oil-powered HVAC unit, it still has electrical components. If these components are not working correctly, they can cause your system to waste fuel, not work correctly. or not work at all. The biggest problem seen on the electrical side is with the ignition system. If your unit clicks a lot before it ignites or continues to click without igniting, this is a problem with the electrical igniter. Even with regular maintenance and care, older units are going to start to fail. According to Energy Star, replacing a unit that is 10 - 15 years old can save you up to 20 percent on your heating and air conditioning costs. If you are unsure how old your unit is, you can use the serial number to figure out when your unit was made. 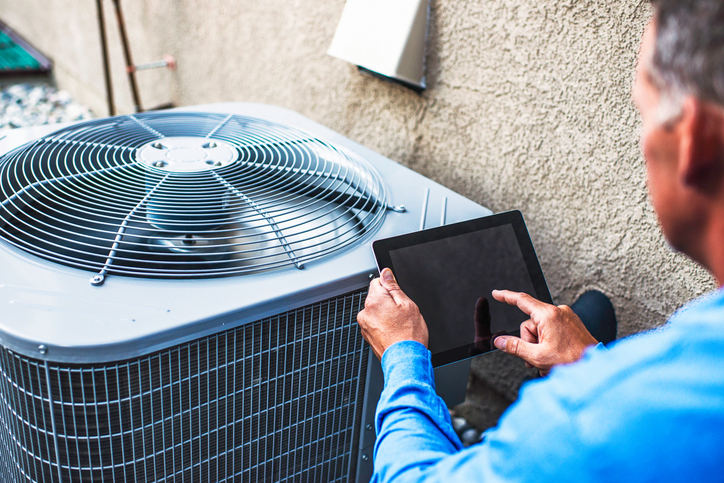 Leaks, clogged filters, and the age of your unit can all cause problems with your HVAC unit. Having a qualified technician come out and repair or replace your unit will save you money on your fuel bills and reduce your impact on the environment. Some great chunks of information in here. Great article!